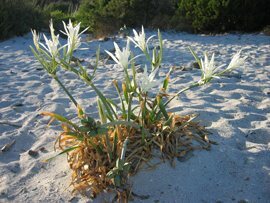 The Sea Daffodil is a bulbous plant which, over the autumn and winter periods, presents only with thick leaves twisted in a gentle spiral. 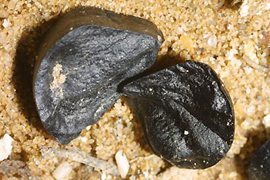 They grow on costal sands or sand dune systems. 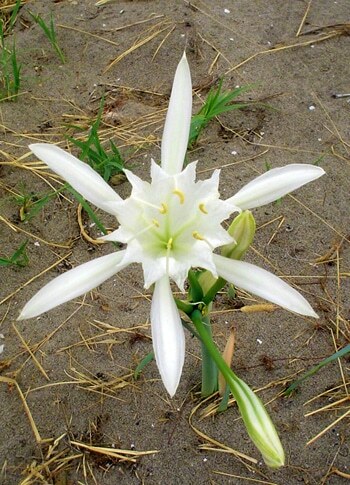 Scientific name: Pancratium maritimum L.
Distribution in the islands: Mallorca, Cabrera, Formentera, Ibiza, Minorca. 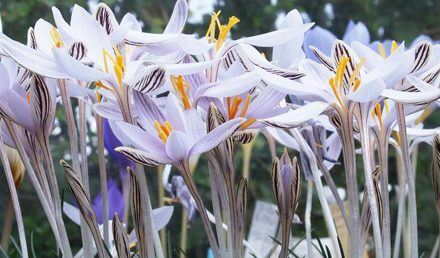 Plants protected by law: Balearic Catalogue. Habitat: Beaches and dunes, sandy soils. Flowering time: June, July, August, September. 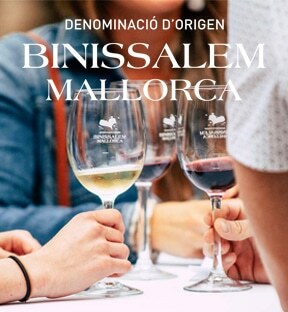 Catalan common name: Lliri de mar, lliri de platja, lliri d’arenal, assutzena d’arenal, nadaleta de mar or lliri de Santa Cristina. Spanish common name: lirio de mar, jacinto de mar, alelí de mar, pancracio, nardo marino, azucena marina, nebulosa, amor mío. 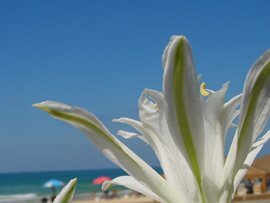 Their large, white flowers blossoming at the height of summer (mid-August time) are surprising. 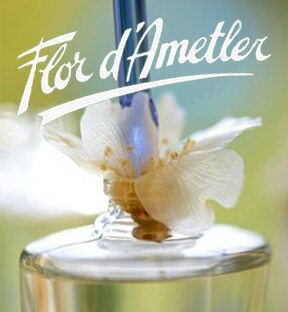 Growing out of the hot sands of the beaches of Mallorca, the flowers open during the afternoon and for one day only, giving off a pleasing scent. 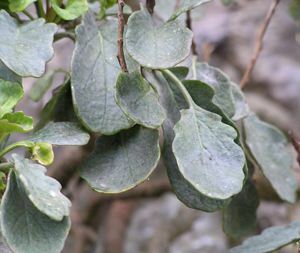 By the time they are in flower, the leaves have long since dried up, to return again the following autumn. 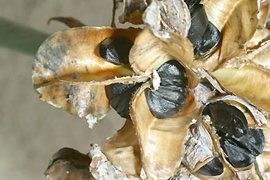 Their seeds are also rather unique, resembling small lumps of coal. 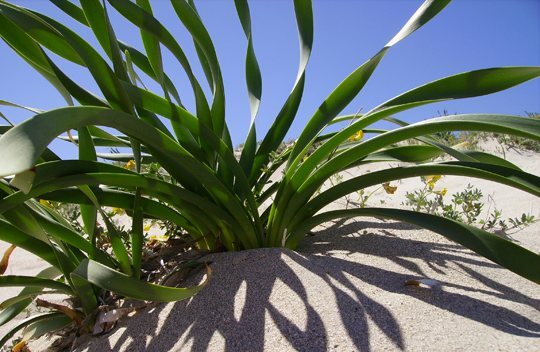 This plant is a protected species listed in the Balearic Islands Catalogue of Endangered Plant Species. 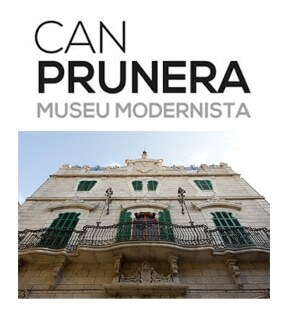 They can only be found at a few locations on the island of Mallorca, so please do not pick or trample on them. The conservation of this species is our responsibility. Vitex agnus / castus L.